The Navy's top officer failed to address an incidence of misconduct at a booze-filled Christmas party in a timely manner, the Department of Defense's inspector general determined this week. 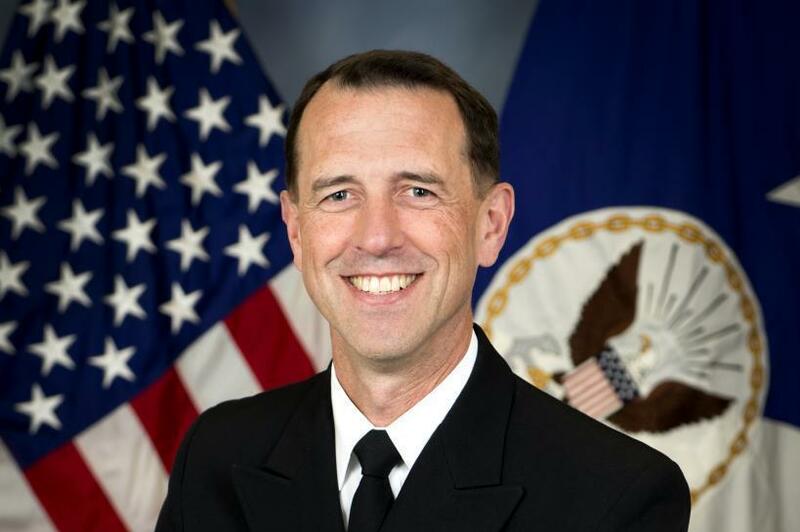 An IG report released Wednesday cleared Chief of Naval Operations Adm. John M. Richardson of official wrongdoing, but rebuked him for not disciplining former spokesman Cdr. Chris Servello quickly enough. Richardson removed Servello from his post after the latter allegedly slapped a female civilian coworker on the buttocks and made sexual advances toward other coworkers at a December 2016 Christmas party. Three female officers made accusations against Servello after the party. Richardson made the decision to dismiss Servello as his public affairs officer in April 2017, but didn't do so until August of that year. The report said Richardson "acknowledged that he should have acted more expeditiously." "We believe that Adm. Richardson's failure to ensure that the PAO was removed from his personal staff in a sufficiently expeditious manner ... sent the wrong message about how seriously Adm. Richardson took the allegations of sexual harassment," the IG report said. Servello, who is not named in the IG report, was reassigned to the Defense Media Activity after the investigation into him, the Navy Times reported. The officer who oversaw that investigation said Servello's actions didn't rise to the level of criminal activity, but he "consistently failed to demonstrate the maturity or judgement that would be expected of an officer in his position." Richardson issued a statement Friday calling the report "appropriate." "I appreciate the level of scrutiny with which the DODIG approached this matter," he said. "I learned a great deal from this experience. In particular, I should have moved more quickly to bring matters to a close and to avoid any unintended messaging to the Navy and especially to survivors."